Adobe's Creative Suite has been the package for media types, designers and videomakers and a new release is always much anticipated. Well, Adobe has announced the release of Creative Suite 4 and it's 23 September. 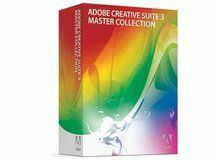 The current Creative Suite bundle, CS3, comes in a number of variations, depending on what software you will be using the most. This iteration of Adobe's software package came out in March of last year. Bundles included: Design Premium, Web Premium, Production Premium and Master Edition. Software in the bundles focused on special effects (After Effects); film editing (Premiere); photo editing (Photoshop); design (Illustrator) and web production (Flash and DreamWeaver). There's no actual new word on what CS4 will contain, except that Photoshop will come as a 64-bit version for PC users but only in 32-bit version for Mac users. There are previews of bits of CS4 software online, which appeared back in May, when the company offered two-day trials. These include looks at new versions of DreamWeaver, image-editor Fireworks and Soundbooth, the company's audio editor.